From My Hearth to Yours: GOODBYE Stink Bugs! We're Fortified! GOODBYE Stink Bugs! We're Fortified! I told you the move to fortify our fortress from stink bugs was gonna be BIG. Stink Bugs: They're Baaaaaack!, Ten Scenes of Horror: Living with Stink Bugs, Our House- The All-Inclusive Stink Bug Resort), we finally made the massive move to keep stinkers OUT. After tearing off the siding on our beloved home, we uncovered the stink bug's secret entryway, the portal, the highway to hell. Look at that GAP! Easy on ramp on the highway to hell. It turns out, there was siding UNDERNEATH our siding. Say whaaa? Quite a surprise when we discovered this bonkers error. Because the surface underneath the existing siding was, obviously, not flat (as it should have been) there were large grooves that created easy stink bug paths right into our home. No-freakin-wonder we've been inundated with spawn! 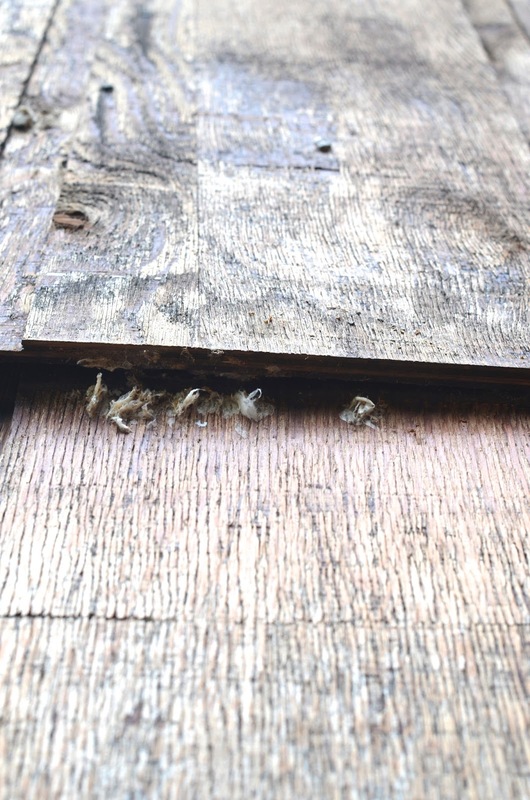 Stink bugs (and tons of other creepsters) crawled up these grooves and entered through the gaps between panels. A problem we had to remedy! After removing BOTH layers of the existing siding, we got the job done right. 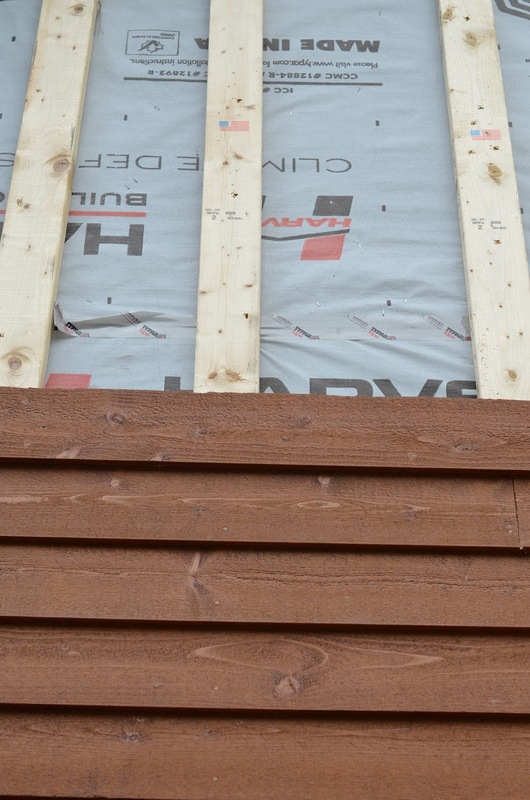 A bug screen was added to the bottom of each section before the new siding was installed. Bug screen before being folded up. 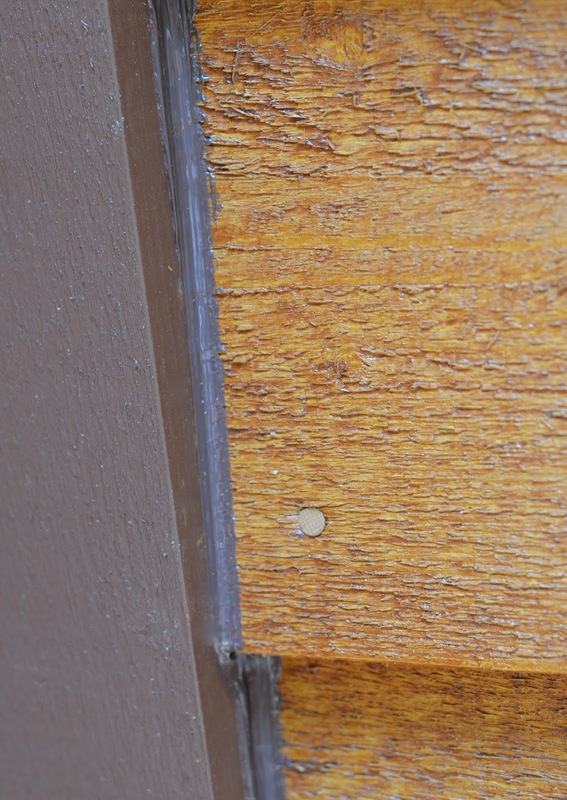 The screen prevents bugs from creeping through the underside of the siding. I love you, bug screen. And then the new siding was installed. Every crevice was sealed with caulk, and we will be vigilant in ensuring that every possible gap is sealed in the future. Flashing strips were added to the base of the home to further prevent any access to the fortress. Give us one full year to report results. Right now, any stinkers inside our home will be trying to make their way OUT to breed, but when "winter is coming" we know spawn will try to breech our walls for another season of hibernation. Get psyched for us, friends. I think we've GOT this now. The first ghost, Bailey Button Uggs Sale this will depend on you. Glanced one, facing the first ghost road. Disciples will not let Master down. The first ghost voice very hoarse, with an eerie meaning, several disciples Ugg Mini Bailey Button Sale beside the unconscious body towards the back to go. Each has its own Bailey Button Uggs Sale peak head rest houses, when the peaks are in the lounge among the disciples. Party. The day before the Kowloon disk array, there are three disciples were eliminated. Well, then look at your seven people, Ugg Mini Bailey Button Sale as long as the division to compete for the five Cheap Ugg Bailey Button Boots months Bailey Button Ugg Boots Sale to nine peaks Ugg Bailey Button Triplet Sale in the name, then definitely not ill-treat you as a teacher, I do happen to have pieces Cheap Ugg Bailey Button Boots of the best instruments recently faint one language, which several disciples together once fiery heart, the best instruments, which was the goodly Ugg Bailey Button Sale things, who do not want to get.